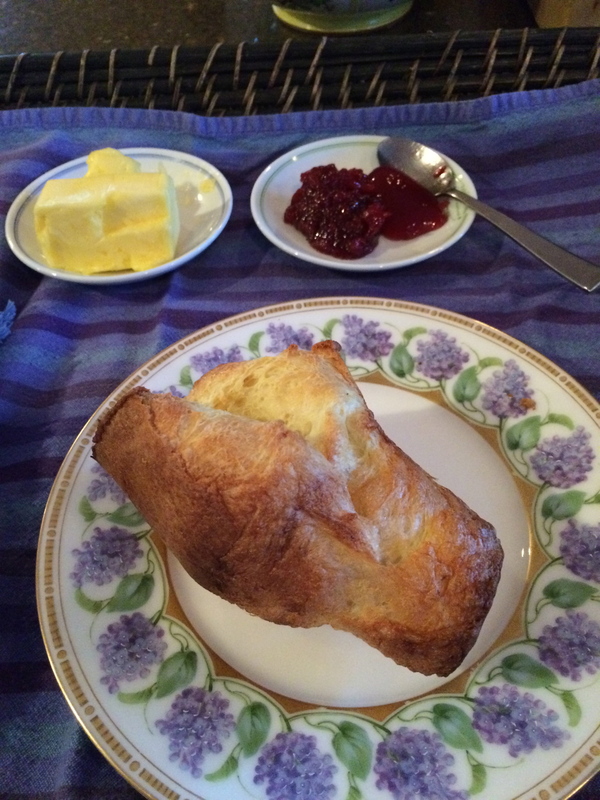 My Aunt Sue is obsessed with popovers and I finally decided it was time for me to revisit them. I ordered a pan (a must!) online and made them this morning. This is my aunt’s recipe that I combined with one from Cook’s Illustrated. They did not disappoint! This recipe makes 6 large impressive popovers! You really need 6 people or neighbors to share them with as I don’t think they will hold. I may try making some chicken hash and putting into a heated popover for dinner tonight! In a large bowl, whisk the eggs and milk together for 20 seconds. Whisk the flour and salt in a medium bowl and add to the egg mixture. Stir just until the flour is incorporated. Whisk in melted butter until smooth, about 30 seconds. 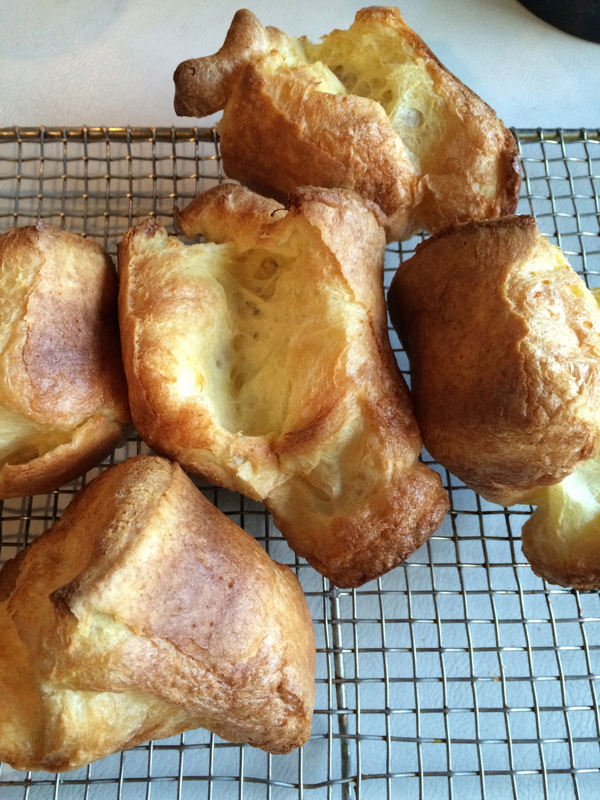 While batter is resting, measure 1/2 t. vegetable oil into each popover cup. Adjust the oven rack to the lowest position. Place the popover pan in the oven and heat to 450 degrees. After the batter has rested, pour into a 4 c. measuring cup with a spout. Working quickly, remove hot pan from the oven and pour mixture into 6 popover cups. Return to the oven, bake 20 minutes. Do not open oven door! Lower heat to 350 degrees for 15-18 minutes. Invert pan onto a wire rack and cool for 2-3 minutes. Serve immediately with good butter and jam!